Please complete the Membership Application form below for submission to SBREIA. Here is a printable version of the Membership Application. Email the application to sbreiala@gmail.com or bring the application to a SBREIA meeting. You are invited to attend first meeting as a guest. 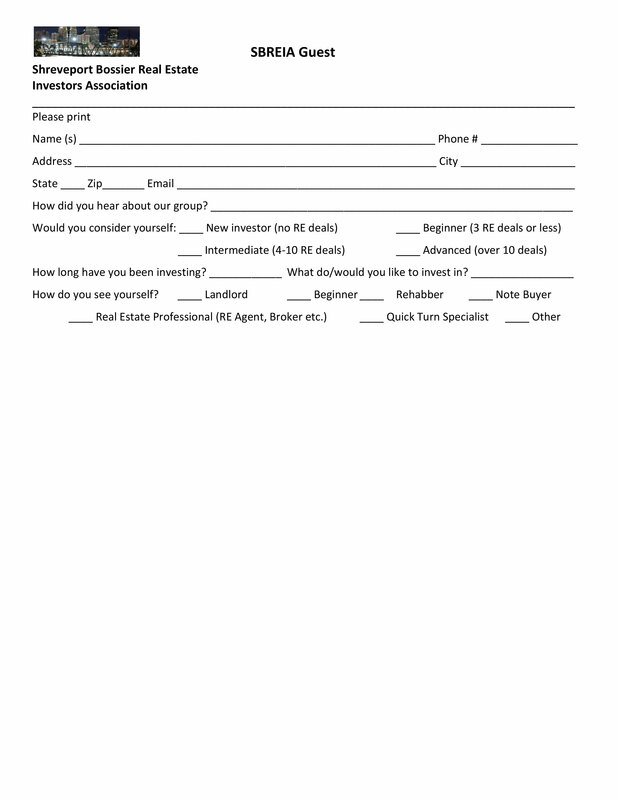 Here is a printable version of the Guest Membership Form. Email the application to sbreiala@gmail.com or bring the application to a SBREIA meeting. Meetings held the 3rd Monday of every month at Ralph and Kacoo's unless otherwise announced.